Our travels thus far have taken us to a number of places marred by the aftermath of politics gone wrong. In no place, however, have the wounds from such wrongs been as raw or as recent as the ones we witnessed during our time in Phnom Penh, Cambodia. In the late 1960s and early 1970s, Cambodia was engulfed in a civil war that created a power vacuum into which an orthodox Communist group called the Khmer Rouge1 stepped into in 1975. Over the course of the next four years, the Khmer Rouge carried out a radical program that included isolating the country from foreign influence, closing schools, hospitals and factories, abolishing banking, finance and currency, outlawing all religions, confiscating all private property and relocating people from urban areas like Phnom Penh to collective farms where forced labor was widespread. 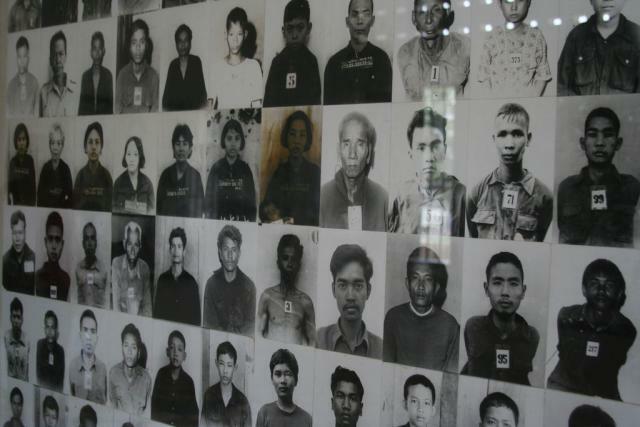 During this time, the Khmer Rouge, under its leader, Pol Pot, overworked and starved the Cambodian population, executed those who ostensibly had the potential to undermine the new state (including intellectuals or even those who exhibited stereotypical signs of learning, such as eyeglasses) and detained and killed many others for even minor breaches of their stringent rules. We spent a day visiting two of the sites where many of these atrocities took place. We toured a former high school that was commandeered by Pol Pot’s forces and turned into a prison camp known as S-21. 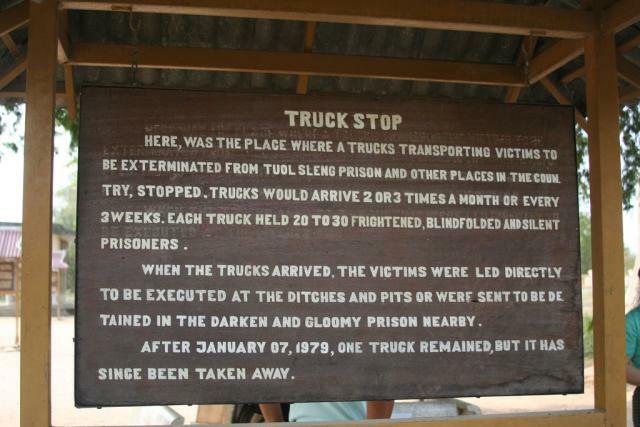 Approximately 17,000 people passed through the camp, which is now known as the Tuol Sleng Genocide Museum, before being executed. (Of all those imprisoned at S-21, only ten are known to have gotten out alive.) 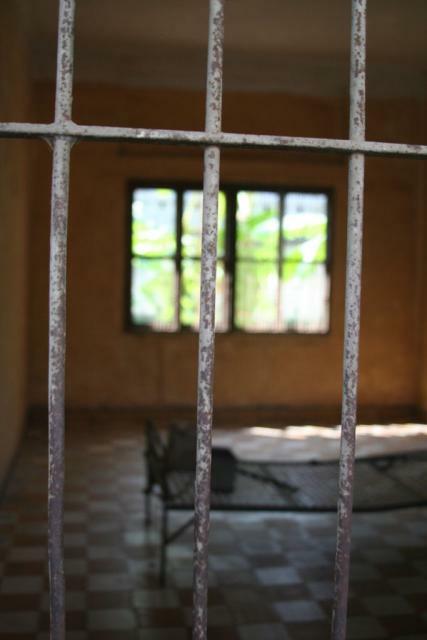 The school’s classrooms were converted into tiny prison cells and larger interrogation centers, where prisoners were tortured (mostly by Khmer Rouge children aged 10 to 15) and forced to confess crimes that they had never committed. Once condemned to death for their “crimes,” the detainees were sent to be executed at one of the many killing fields that the Khmer Rouge established throughout Cambodia. 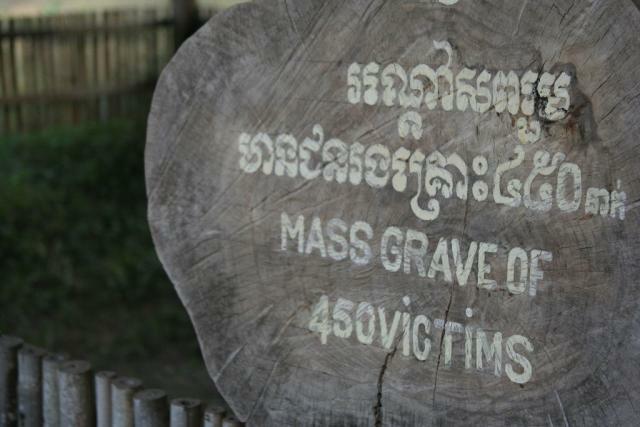 We visited Choeung Ek, one such field and the place where more than 15,000 people were believed to have been murdered and buried in mass graves. A powerfully disturbing memorial at the site features a glass case that contains the skulls and bones of more than 8,000 of the victims. The Khmer Rouge was ousted by Vietnamese forces in 1979, but it retreated west to a safe haven near the Thai border, where it remained (and ruled) for the next ten years. Party infighting led to its eventual disintegration and to the imprisonment (by house arrest) of Pol Pot, who died in 1998. While many other Khmer Rouge leaders either surrendered or were captured, some are still believed to be hidden in Phnom Penh. Interestingly enough, Cambodia’s population is very young, and so, by 2005, more than 75% of its population was too young to remember the years during which the Khmer Rouge held their nation under siege. Those who live in Phnom Penh now walk the streets of a surprisingly cosmopolitan town that is the wealthiest and most populated in Cambodia. While the city is rife with poverty, most of the short-term tourists (ourselves included) who populate its trendy cafes and bars remain, for better or worse, almost completely isolated from the city’s modern-day troubles.